< Religion…for all the wrong reasons? Thank you for sharing. on so many levels this could have been written by me. I swear, sometimes I think you are living in my brain with some of the things you blog! I like getting into people’s heads 🙂 Glad you liked it! Hi Ed! I read your post and loved it! Sounds like we have a lot in common as far as escaping fundamentalist religion goes! I’ve read “be yourself” in a number of posts, and I understand since I’ve had to struggle with that in the past. It’s good for anyone to be more themselves, but it’s especially important for writers. So true Alan! Thanks for reading and commenting! Like all things in life, for personal survival you move on it’s a somewhat necessary fact of life! True! Thank you for reading and commenting! I love this post! I have had similar thoughts about this song. I really appreciate that you broke it down line by line to give your interpretation. This post makes me want to revisit it the song I currently consider to be my personal anthem these days, and put more thought into why I’ve adopted that song as my anthem. Thank you for your inspiring post. So glad you enjoyed the post 🙂 It is a meaningful song. I haven’t listened to it in a while either, I should. My friend on Etsy makes a beautiful “Let It go” Necklace – I got my daughter one and myself one – I wear it often to remind me that when I am upset to just “Let it Go”! I loved reading your thoughts on this song! Thank you so much! So many people read this post, but not many comment on it, so I really appreciate the comment!!! Wow! I heard this song a lot. I have 2 granddaughters and at the time I was teaching first grade. Sometimes I thought there was no escaping it. I really like, however, how you broke it down and really gave it meaning that was personal to you and probably to many others. I think we all have this outer persona for the world, and we are better off if we can just be ourselves, not judging and not being judged. Aw, thanks so much for taking the time to share your thoughts on my post! I’m glad you liked it! I did almost get a little tired of the song back when it was popular too, it got played to death, but the lyrics still mean a lot to me. Thank you! I’ll check them out! I have not heard the full song, only in passing amid screams of children in the back seat of a soccer mom passing by in traffic. I think she really wanted to let it all go too! I will have to get the soundtrack. Your insight is astute in how it applies to you. 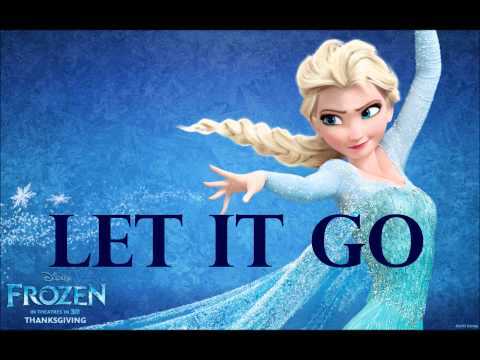 I’m still working on the letting it go part – I slammed the door a long time ago. It’s been slow in the reopening but it’s getting there. Thank you for sharing! Glad you liked the post! Thanks for sharing your thoughts!